China.com special topic: Are the PLA’s hawkish statements just propaganda? ‘U.S. 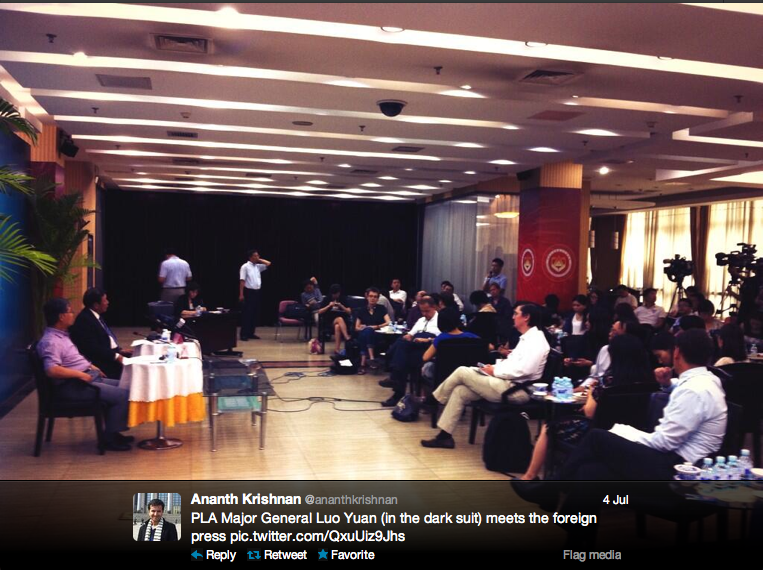 media examine PLA hawkish faction: Luo, Dai etc. 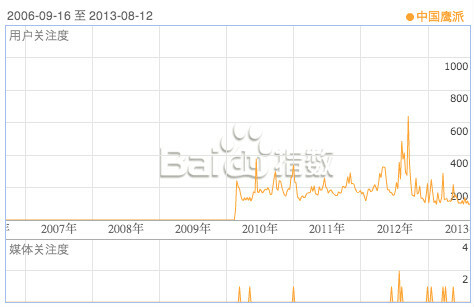 may have high-level support‘ (Sina). 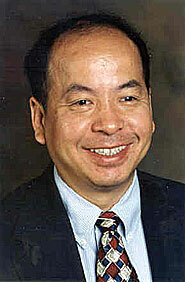 ‘America: Dai Xu more provocative than Luo Yuan, gets some kind of authorization!‘ (China.com). Since i now speak for “America” (or is it that i am America? ), it is high time i actually went there. The regular appearance in the Chinese media of People’s Liberation Army (PLA) figures calling for aggressive foreign policy causes controversy and confusion among foreign observers. The most sensational remarks usually are made by academics at PLA institutions. Foreign media routinely pick up sensational quotes from these military officers—such as Major General Luo Yuan’s repeated suggestion for declaring the Diaoyu Islands a Chinese military target range or Rear Admiral Zhang Zhaozhong’s recent call for a blockade of Philippine outposts in the Spratly Islands (Beijing TV/Huanqiu Wang, May 27)—and attribute them to senior military leaders, as their ranks seem to suggest (New York Times, August 20, 2012; TIME, Februrary 20; Tea Leaf Nation, February 25; South China Morning Post, March 6; Reuters, March 17). Operational commanders, however, seldom comment in public on policy issues. 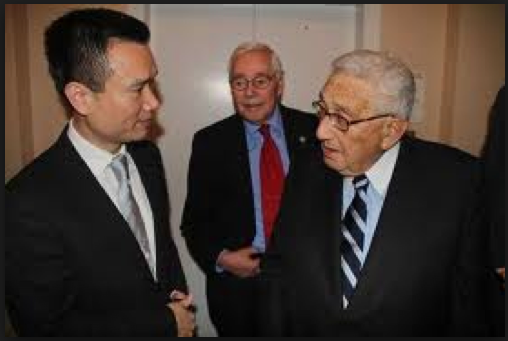 Prominent foreign policy analyst Wang Jisi has publicly complained about “reckless statements, made with no official authorization” which had “created a great deal of confusion” (Asian Wall Street Journal, July 1, 2012). In April, recently-retired deputy military region commander Wang Hongguang wrote military pundits had “misled the audience” and caused “interference with our high-level policy decision-making and deployments” (Global Times, April 20). This two-part series assesses who these outspoken PLA officers represent and the implications of their hawkish statements through an evaluation of their backgrounds, affiliations and statements on their work. Debate about belligerent public remarks from military personnel often surrounds the extent to which they might represent the voice of hawkish PLA constituencies, pressuring the leadership to adopt more aggressive policies. Some analysts tend to dismiss such bluster as largely irrelevant on the basis that military media pundits have no operational military authority, despite their high rank. Others, however, emphasize how continued outspokenness by military figures presupposes high-level party or military support, and that they thus give voice to behind-the-scenes political struggles. A third view proposes that the hawks are the voice of the PLA as an institution, pushing the military’s policy preferences . Analysis of scattered biographical information on the most prominent hawkish PLA media commentators, plus comments regarding their own work, suggests each perspective is partially right. None is a general in a conventional military sense, yet they are far from irrelevant. Their backgrounds, affiliations and positions, however, indicate their role probably has more to do with the regime’s domestic and international propaganda work objectives than political debates. A “strategic communication” with India, via Luo Yuan? To those people who subscribe to this blog via email, thankyou and i’m sorry — you guys always miss out on various additions and clarifications (e.g. headings, signpost & summary sentences) to the shoddy initial versions i post. If you’re interested in the topics but find my chaotic writing confusing, i’d always recommend waiting a few hours and then viewing via the web, rather than email. If it wasn’t clear, the point of yesterday’s typically unwieldy post was actually quite simple: Luo Yuan, and the other “hawks”, are probably in the game of military political work, rather than policy competition. UPDATE JANUARY 2017: Lots more information about Chairman Ye has come to light, including confirmation that he is not Ye Jianying’s grandson (but he is in business with Marshal Ye’s granddaughter). Read the latest update here first. Senior Colonel Dai Xu, of the People’s Liberation Army Air Force, apologised profusely for running late as he lowered his tiny frame into a plastic chair. The display of manners and humility, in the mosquito-ridden lobby of his three-star Sanya hotel, seemed an unlikely departure point for an exploration of the evolving nature of Chinese power and how it is projected into the world. Nevertheless, he was about to open a door into the labyrinthine universe of China’s ruling families, big oil and the most secretive and least understood corner of its military intelligence complex. “I used to use Long Tao as pen name,” Colonel Dai said, confirming for the first time that he was indeed the “China Energy Fund Committee strategic analyst” whose incendiary writings have provoked fear and anxiety across the resource-rich South China Sea. The most memorable article, published in the state-owned Global Times in September 2011, is now seen as emblematic of China’s “peaceful rise” entering a more belligerent phase. “When those towering oil drilling platforms become flaming torches, who will be hurt the most?,” said Long Tao, presenting a case for waging war against the Filipino and Vietnamese “chickens” in order to scare the hegemonic American “monkey”. The identity of Long Tao as Colonel Dai – a media pundit who holds a senior military rank yet has never commanded any troops – proved to be straightforward, however, compared with the organisation he purported to represent. The China Energy Fund Committee (CEFC) describes itself as a “non-profit, non-governmental think tank” that strives for “a better future for mankind”. At its apex sits a mysterious 36-year-old chairman named Ye Jianming, about whom so little is known that the Chinese-language internet has numerous bulletin board posts asking, “Who is Ye Jianming? Chairman Ye, it turns out, heads an energy logistics megalith that came from nowhere in 2010 to claim revenues of more than US$30 billion last year. China Huaxin Energy Company is the centre of a constellation of Hong Kong, Singapore and mainland Chinese companies that link as far as Zhuhai Zhenrong, a company that is subject to US sanctions for oil trading with Iran. News on the company’s website details Chairman Ye leading delegations on visits to dignitaries around the world. Despite his tender years, he has won the admiration of global statesmen from King Abdullah of Saudi Arabia to Henry Kissinger, who apparently addresses him as “Chairman”. The young chairman’s “thought” (in the sense of Mao Zedong Thought) and “important speeches” are lauded in the pages of company publications. His slogans adorn the company’s website: “Starting with power, finishing with virtue”, “Faith, Unity, Rigor, Devotion” and – rather strikingly for a self-proclaimed private enterprise – “Repay the country through industry”. “We must continue to deeply study Chairman Ye’s speeches and articles,” says a piece in the 120-page internal study journal, “to thoroughly understand the development path the Chairman has pointed out for us. Rapturous scenes ensued when the chairman made an appearance at Huaxin’s Chinese New Year function in February – according to the company’s in-house publicity (propaganda) centre. Yet, despite his flourishing cult of personality, the chairman is far from satisfied with the work of his propaganda department. In April last year he told them they had “fallen behind”, “not grasped the main themes”, and “not explained what it is that Huaxin does”. Indeed, how does Huaxin make its billions – aside from sponsoring belligerent think tanks? According to Singapore corporate filings, Ye Jianming was previously chairman of the board at Shanghai Zhenrong, part of the Zhuhai Zhenrong family that was hit with US sanctions for oil trading with Iran. One of Huaxin’s current projects is to build a mammoth oil storage facility on Hainan Island, with capacity of 12 million cubic metres, to absorb a large share of China’s strategic oil reserve. 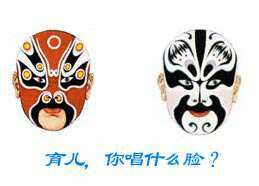 “Oh yes, Huaxin – the princeling company . . . they are into everything around here,” ventured a Hainan taxi driver late last year. Aside from energy logistics, Huaxin’s subsidiaries are involved in rubber, chemicals, and metals. 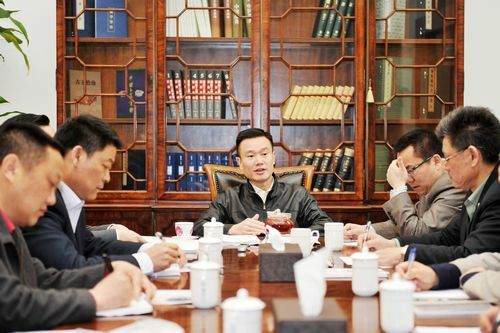 At a meeting last month with Mexican state oil giant Pemex, Huaxin CEO Chen Qiutu (representing Chairman Ye Jianming of couse) boasted of his company’s “great financial system made up of many domestic and foreign listed companies and equity banks, trusts and securities companies”. Its interests even extend as far as Australia, where last year it spent about $2 million for control of an iron ore hopeful, Buxton Resources, under the name National Business Holdings. But some assets closely related to the Huaxin family appear to be the personal property of the chairman. In November 2011, Singapore Petrol Development Pte Ltd (SPD) purchased a beauty products trader called Sun East, with the intention of “exploring” a move into the petrochemical trading business. SPD promptly renamed its acquisition CEFC International. Corporate filings indicate that Ye Jianming is the sole shareholder of SPD, as well as the controlling shareholder of Daiwah Group, a Shanghai-based company established in January 2012 with capital of RMB 100 million. Daiwah deals in rubber, palm oil, non-ferrous metals, chemicals and shipping. Huaxin’s English name, China CEFC Energy Co, is almost identical to that of the CEFC think tank and until recently it listed the think tank as one of its charitable ventures. Their logos are also almost identical except that the corporate entity’s is tinted Communist Party red, with golden stars like the Chinese flag, while the think tank has bronze stars on a background of United Nations blue. At the centre of its logo is a big star which represents “civil rights”, according the CEFC’s English-language version of its website. But the Chinese-language explanation makes no mention of civil rights and, in contrast, says the star represents how “this organization will play a strong and powerful role for the interests of the Chinese state and nation”. Three smaller stars represent its participant “organizations and individuals”. A CEFC spokesperson declined repeated inquiries as to their identity or nature. Months of questions to CEFC headquarters have provided no answers on the question of who or what is really behind its activities. “Sometimes you just know it’s better not to know, so I don’t even ask,” was one typical response, from an employee. The fact that CEFC might be set up and owned by an opaque oil company has not deterred global statesmen from participating in its high-level events. Last month it quietly co-hosted an “energy conference” in Beijing attended by Kissinger and former German Chancellor Gerhardt Schroeder. And while Huaxin’s internal structure uses Chinese government nomenclature and refers to its executives by the Communist Party appellation “comrade”, the United Nations has nonetheless vouched for CEFC’s non-government-status. The “NGO” was granted Special Consultative Status with the UN Economic and Social Council which, in turn, enabled it to segue away from oil and war in order to co-host a “dialogue between Confucianism and Christianity” at United Nations headquarters in New York, in November 2012. CEFC’s partner in that venture, the Nishan Forum on World Civilizations, is another new and mysterious Chinese organisation that describes itself as an NGO. Its personnel and aspirations overlap with those of CEFC. 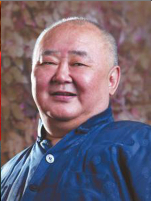 The interests of the Nishan vice chairman, Xing Yunming, reach far beyond Confucius and religion and might provide a clue to what lies behind the CEFC think tank. Mr Xing is in fact a lieutenant-general in the People’s Liberation Army and, according to isolated, and perhaps inadvertent, reports in provincial media, he is director of the military’s secretive political warfare agency – the Liaison Department of the PLA General Political Department (GPD). The PLA GPD Liaison Department emerged in 1955 out of an entity with a more descriptive moniker: The Enemy Work Department. Almost unknown to civilian researchers, it behaves like an intelligence agency but with broader scope and greater power, targeting foreign political and economic elites. In recent years it appears to have broadened the focus of its “enemy work” – a term its operatives still use – from Taiwan and overseas Chinese communities to Western countries and their allies. “Liaison work operates at a nexus of politics, finance, military operations, and intelligence,” said Mark Stokes, executive director of a Washington think tank, the Project 2049 Institution. “It is responsible for active measures taken to influence foreign defence policies,” said Mr Stokes, who is sifting through reams of internet material to map the department’s personnel and networks across various front organisations. The central strategy of enemy work is to create two simultaneously contradictory perceptions in the adversary’s mind: one, that China is friendly and benign, the other (invoked at the crucial moment) that China is powerful, ruthless and inevitable. Perhaps this might explain why CEFC, the think tank, goes to great lengths to organize friendly cultural exchanges, yet also associates itself with warmongering articles by PLA officers. CEFC, the think tank, repeatedly declined requests to clarify the nature of its links to the PLA GPD Liaison Department. But publicly available records say from 2003 to 2005 chairman Ye Jianming was deputy secretary general of the China Association for International Friendly Contacts (CAIFC) – one of the GPD Liaison Department’s best-known public platforms. 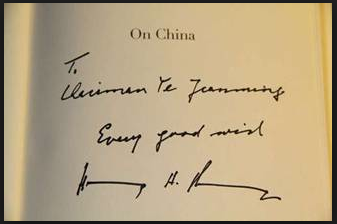 CAIFC has mediated many of Kissinger’s contacts with the Chinese regime. And there is a certain similarity at the center of CEFC and CAIFC’s logos, too. Which, in turn, hints at an answer to the ultimate mystery: who is Ye Jianming, the 36-year-old who sits atop both the CEFC think tank and its sponsor, the start-up oil megalith Huaxin? Close observers in Hong Kong and southern China note that his features bear a striking resemblance to Lt-Gen Ye Xuanning — Director of the PLA GPD Liaison Department until 1998, and long-time President the Carrie (Kaili) Group, of one the original PLA business empires. Ye Xuanning is the son of one of China’s great marshals, Ye Jianying, and has been described by peers as “the spiritual leader” of the princelings – the children of China’s original communist revolutionary heroes, who now dominate the top echelons of the party leadership. The close observers say the PLA GPD Liaison Department continues to be his power base, 15 years after his official retirement. Could the young chairman be – as many suspect – the youngest and previously unidentified son of Ye Xuanning? Are his businesses and the CEFC think tank an instrument of Chinese state power, a family fiefdom, or merely private initiatives? Dai Xu, the Air Force colonel, who has been pictured with Chairman Ye, knows the answers but is not forthcoming. * Another credible alternative hypothesis is that Chairman Ye Jianming may be a grandson of Admiral Ye Fei, who commanded the PLA Navy from 1980 to 1982. Yet another fascinating character to add to the roll-call, Ye Fei was born in the Philippines to a family with deep roots in Fujian Province, the original home of CEFC. He was a close associate of Marshal Ye Jianying and apparently opposed the June 4, 1989 crackdown.